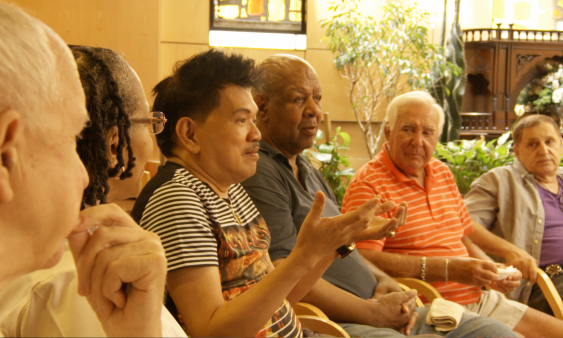 Fred Wiseman’s name often rightfully carriers the moniker “Master of observation,” but the veteran filmmaker does his preferred mode of delivery a disservice with the tedious In Jackson Heights. Wiseman once again takes an observational approach to documentary form as he plops a camera in a room, turns it on, and lets the subject do the work. This time, however, it just doesn’t jive. In Jackson Heights lets Wiseman’s camera reveal every corner of the New York neighbourhood of Jackson Heights, and each scene builds to the mosaic of this are rich with cultural diversity, but that fact is self-evident and articulated in a few seconds while the film hammers the same point to no end. There’s no need for the film to be 190 minutes, though, and In Jackson Heights is an exercise in patience, even for a Wiseman film. It’s nice that Wiseman gives everyone in town a chance to speak, but the director doesn't do his subjects any favours as scenes play out in full like hunks of raw footage—does the film really need so many complete speeches from town meetings and community rallies? Abbreviation doesn’t negate observation; it simply makes a film more watchable. This insufferably self-indulgent film proves the limits of observation: watching In Jackson Height, I was like Elaine Benes enduring The English Patient. 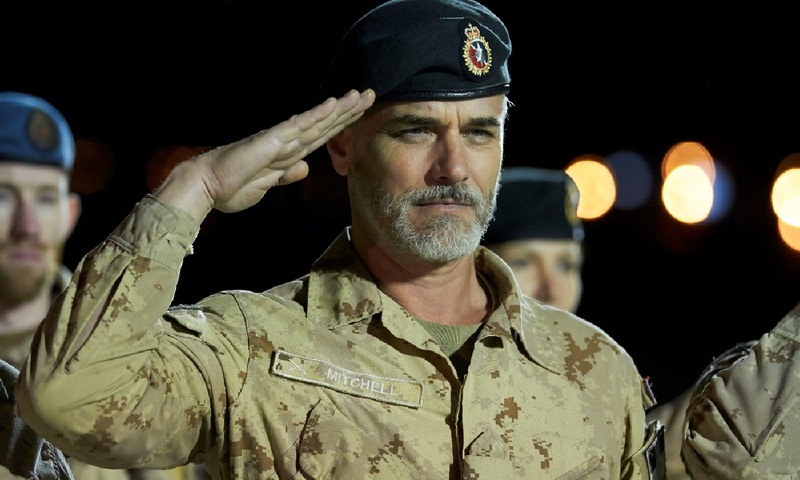 Paul Gross directs an all-Canadian bloodbath in Hyena Road. This sturdy actioner begs comparison to American heavyweights like American Sniper and Zero Dark Thirty as it brings an intense drama set in the Middle East. The film stars Gross alongside Rossif Sutherland in a respectful portrait of Canada’s armed forces in Afghanistan, and it’s probably the closet the first true Canadian action movie that doesn’t just play like a pointless commercial venture. The story is standard, but the production values are far ahead of other Canadian films as Gross stages some intense action sequences. Hyena Road often leaves one breathless as it thrusts Canada’s soldiers into battle. Strong performances by Sutherland, Gross, and Christine Horne overcome elements in the script that are now conventional for a decade of Afghan and Iraq war dramas. The overall attitude of the film, a mix of patriotism, conservatism, and hearty Canadianness makes Hyena Road, like fellow TIFF Canadian film My Internship in Canada, one of the first true Harper-era Canadian films of the day. Hyena Road opens in theatres on October 9 from Elevation Pictures. 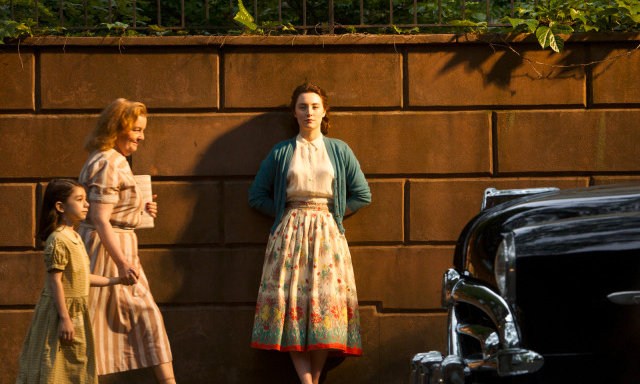 Brooklyn is Canadian co-production at its finest as a handful of Canuck talents like co-producers Pierre Even and Marie-Claude Poulin (Café de flor, War Witch) and Demolition DP Yves Bélanger join a mix of UK and Irish heavyweights for a very fine adaptation of Colm Toibin’s novel Brooklyn. This story of Eilis Lacy (Saoirse Ronan) and her new life in America resonates strongly for Canada’s own history of immigration as the international cast and crew create a timeless and universal tale through this delicate love story. Ronan gives her first truly adult performance as the young immigrant. She’s all grown up here and she’s effective in every sense of the word as she gives a subtle, touching performance as a young girl thrust into adulthood on her own. It’s been a marvel to watch Ronan grow up in the years since she first wowed in Atonement and then brought the funk in Hanna, and Brooklyn is the culmination of her work as an intrepid young actress. She’s perfectly lovely with co-stars Emory Cohen and Domhnall Gleeson, and at the centre of a great boarding house ensemble that includes a riotous performance from Julie Walters as a prickly matron. Watching Eilis grow up is like watching Ronan come into her own as she displays a new edge of depth and confidence. It’s a mature performance that moves her into a new league. Update: I revisited Brooklyn again amidst award season binge-watching and loved it more the second time. This film rewards on multiple viewings. There are so many subtleties to its wonderful glow, like Ronan's layered performance the beautiful score by Michael Brooke, that make Brooklyn worth a second trip. 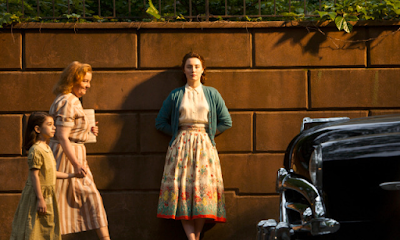 Brooklyn opens in theatres beginning November 6 from Mongrel Media. And in Ottawa at The ByTowne on Dec. 11.